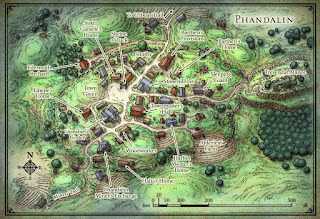 Our adventurers entered the town of Phandolin, unsure of what to expect. The scene before their eyes was that of a town that had been built overtop of an older one. The previous version of Phandolin was rubble and desolate buildings. While the current version was built up along a main road and had one goal in mind, to dig as deep as needed. The party turned their cart over to the Amber Rock Consortium. The reception gnome paid them their fees, and let them know about the layout of the town and the goings on of recent note. 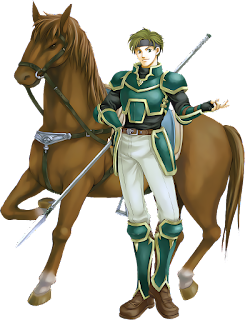 Under his breath he informed them that a group of mercenaries called the “Red Brands” had recently taken up “security” of the town. They didn’t do much aside from bullying the townsfolk and getting drunk under the guise of protecting the townsfolk. 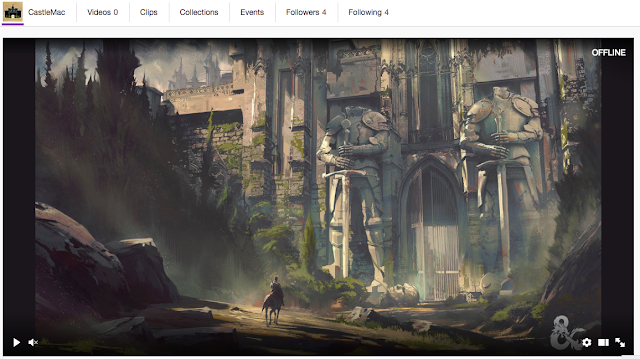 We're in full swing over on our Twitch channel! We're airing Princes of the Apocalypse every Tuesday night at 7:30PM! Watch us play LIVE on Twitch Sundays at 7:30EST! Well, something really really exciting happened this weekend. In a whirlwind of excitement, we decided to stream our biannual D&D fest as a pilot. We loved it so much, we decided to open our private game to the world! We hope to catch you live! 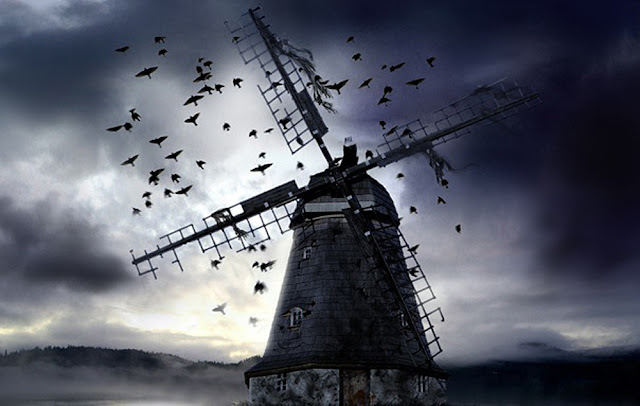 We'll be picking up in the middle of our Curse of Strahd campaign. The gentlemen depicted above are the current party we are using for our Princes of the Apocalypse campaign. Sean (of Caecilius Ras fame from our Curse of Strahd campaign) caught the DM bug, and after a successful two-parter (if you can call mercilessly murdering the player characters at the end successful) he decided to dive in on a full fledged campaign. 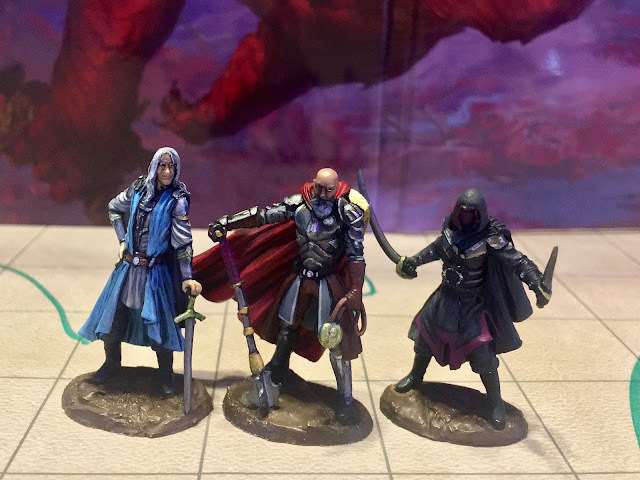 All three miniatures are by Dark Sword Miniatures. At roughly twice the price of your standard Reaper mini (my usual go to), these probably aren't suitable for bulking out your collection... but for splurging on a Player Character, they are, in my opinion, second to none. 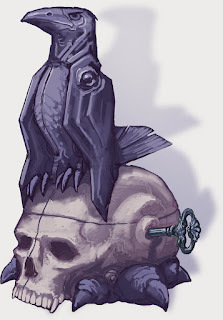 Continuing on from the Grell post earlier, Gibbering Mouthers are both one of my favorite weird, grotesque, uniquely D&D bad guys! Gibbering Mouthers babble endlessly, driving creatures who can hear them insane. Also, their brains float around inside their mass. Love it! 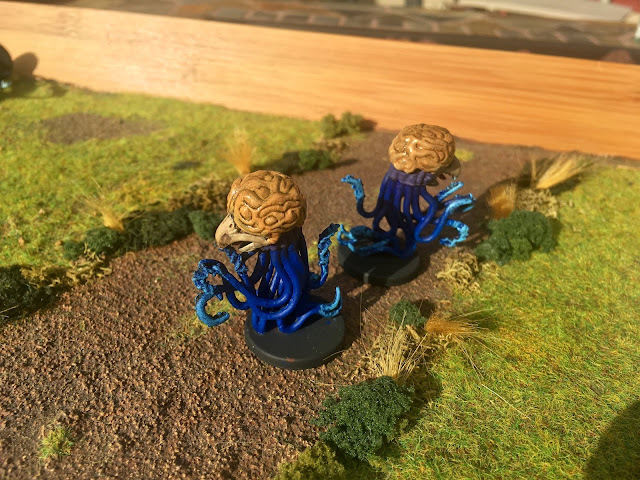 Just like the Grells before, these little beauties come in the Wrath of Ashardalon boardgame. Review: Much of what I have to say here is already covered in the Grell review. Bottom line, the Wrath board-game is worth picking up, even for just the miniatures. The game itself is based on 4th edition, which works best as a board game anyway, in my humble opinion. These are clean plastic sculpts that require no assembly. Quite happy with them! I wanted them to look grotesque so I painted them in fleshy tones, and applied spot gloss to make things look sickly wet. Love dropping them on the table! The road wound on and on, and with each step the weight on Weiland’s shoulders seemed to increase. Thinking back to the events of the past couple of weeks, he could not believe all that had passed. The siege had been brutal. Had it not been for the Half Orc Grim, an elf monk named Komi, and Naal the half elf wizard defending the gate, his city would have certainly fallen. Many lives had been lost; none so devastating as the priestess Eole. Everyone had loved the priestess for her heroism, but none more than Weiland’s own commander, Xavier Frostclaw. He woke to have his bandages replaced, Trajek had come to realize over the course of the past week that things in his life would have to change, there would not always be a next time, and while his hold on life was not so tenuous as in days past, the Old Druid’s message was clear. From here on out he must adapt, or die. Trajek Gloomhammer began his adventures as a soldier. 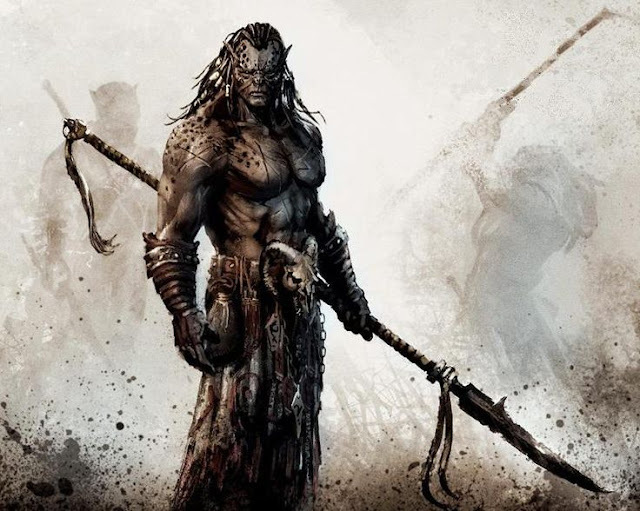 As orcs are naturally drawn to combat there was plenty of opportunity within the tribe to prove oneself and setting off to sell his sword proved fruitful. 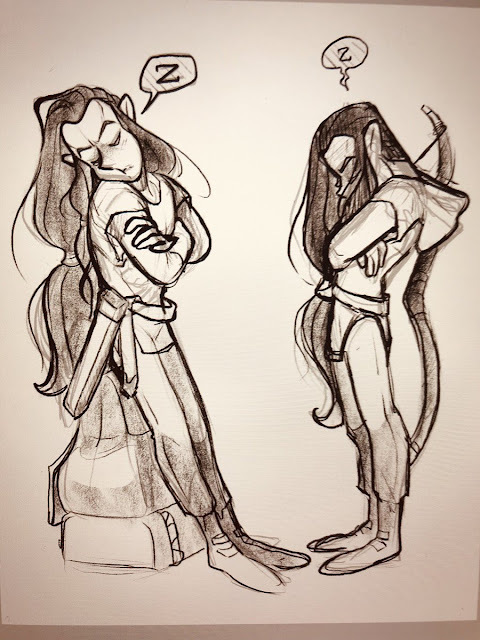 Being a half-orc made work easy to find and his skill at arms made that work easy to do. It also provided an ego that was not easily deflated. We ran almost all the way to Vallaki. As we entered the town, it was bustling. 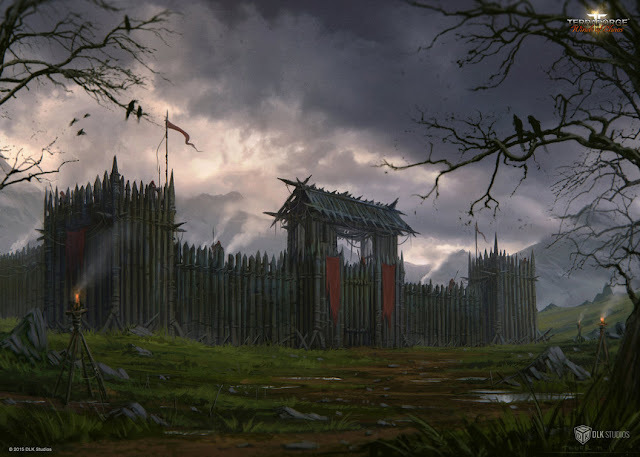 Nothing like the cities of Faerun, although it looked like many of the villages and towns that Anghar and I passed through. Defeated and depressed but with life going on. War torn but with some smiles and perhaps hopes left. As we entered my eyes were drawn to a circus wagon that said “Rictavio’s Circus”. Ava and Driessa seemed concerned by it, but it was not of consequence to me. We traveled to the Blue Water Inn. I had the first good night of sleep last night in the same place where we killed a vampire spawn, probably one of Strahd’s creation. It seems that there is some good in this world after all and it does my heart good. That is even after seeing the procession of dead that we witnessed the night before. Apparently, if we die here our souls cannot travel on. Now, normally this would concern me but I worship Kelemvor, Lord of the Dead, and I am sure his power over the dead is greater than any pathetic vampire. I will laugh in the face of Strahd if I die when Kelemvor shows him true power. 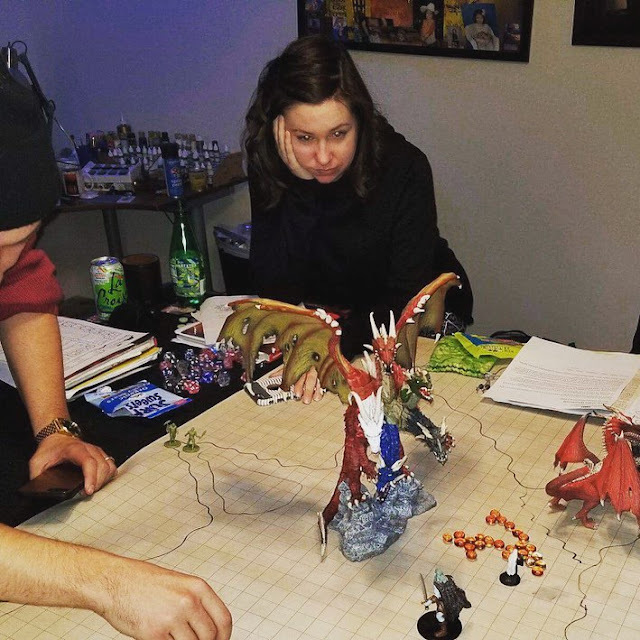 My sister posted the above on Twitter, and it basically embodies how much I love playing D&D with my family better than anything I could say about it! Ahhh, the Grell. Since I first encountered these sightless, alien creatures, I had a bizarre fascination with them! In fact, the next few articles will cover some of the more alien monsters in D&D! If you've not used one before, just go read the wiki article- as a DM if it doesn't spark some cruel inspiration, then I don't know what will! Review: I bought the Wrath of Ashardalon boardgame long before my triumphant return to 5th edition D&D. The game itself is pretty darn fun for some easy co-operative dungeon crawling action... but for $50 it truly delivers a boat load of excellent plastic miniatures- 42 to be exact. Came for the game, stayed for the minis. Highly recommended if you need to kickstart your miniature collection! 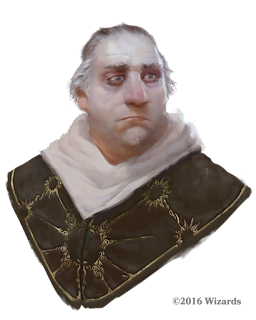 Caecilius' Journal Barovia is an unjust and dark reality. It is worthy of a righteous mission and the glory that will bring. The heroes of Faerun accomplished a task fit for gods, but they had the backing of the people and an environment they knew. Almost all answered the call. What would they do in a place such as this. When the world itself is the trap of a devil. When the people are too broken to try and assist. We stopped to help a young girl. She was surrounded by cultists and being prepared for a sacrifice. The cultists were pathetic. They were sent by a woman in Vallaki to make this sacrifice to Strahd. To appease his need for blood. So the girl, Ursula, and a captured cultist explained. I do not kill captives, but I made sure to break his leg before I left him. I told him perhaps the devil will pity him as he hobbles and crawls toward the castle. As we left the burning mansion of Ireena’s former home, I decided to go and speak to the priest. My companions and I were quick to cleanse his son of the curse that afflicted him, but we didn’t engage the only holy man we’ve come across. I have questions and I think only he can answer them. No one joins me, and that is perhaps for the best. As I enter, I find the priest, Danovich, over the body of his son performing burial rites. I make my presence known, but quietly let him continue. He finishes and addresses me without looking. “I am sorry for you loss. From what you say, he fought. There is honor in that and I am sure it pleases your god.” The man hesitated and looks up at me with a pained face. Breathing heavily and weary from their fight with the goblins, the party debated what to do with the captives. 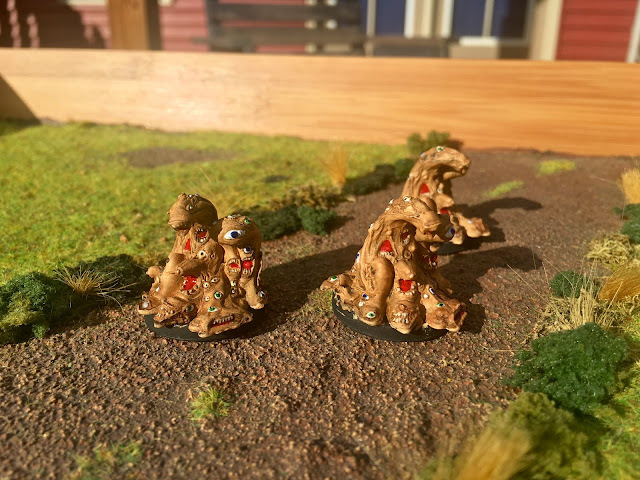 Trajek wanted to use them as meat shields while the adventurers investigated the rest of the cave, Finbin wanted to be done with them and off the treacherous and evil things. Eventually, Finbin caved to the large half-orc’s wishes under the assumption they would set the captive wolves on a chase after the goblins on the way out. 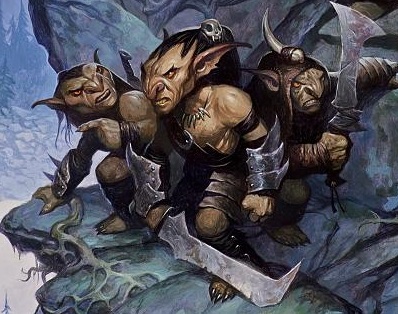 Finbin hated goblins, and felt sick at the thought of leaving any alive. To him they were the embodiment of pure filth and conniving ways, always trying to weasel out of challenges in life. Trudging on through the dim cave, they came to the locked room. Looking around, the party noticed the sluice which had been used against them and paused for a moment to watch it fill. Breaking their pause, a voice called out. The party continues on the road towards Vallaki. The road snakes around a mountainside, and a sprawling valley becomes visible below and to the west. There they see a deep, misty valley filled with pine trees and a large lake. 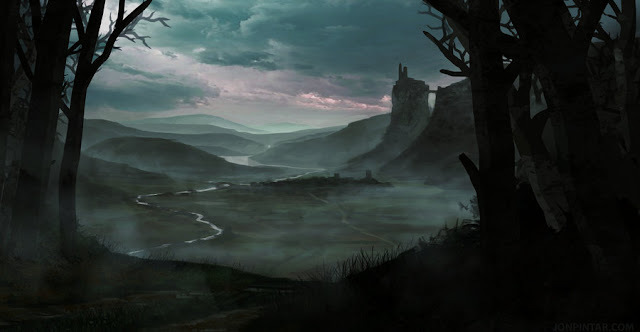 As they travel, they reach a T-intersection, with a road heading east and up the Pillar Stone directly to Castle Ravenloft. The road leading to the castle is partially paved with cobblestones as if it was once well used, but like all of Barovia, has now fallen into despair.